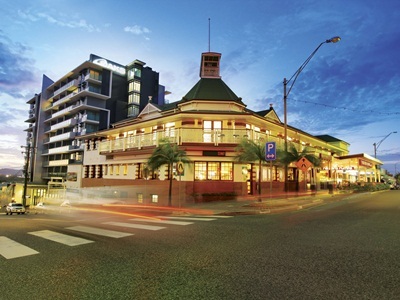 Leading accommodation provider Oaks Hotels & Resorts, a division of Minor Hotel Group (MHG), is rounding off a successful first half of 2015 by outperforming key competitors across market sectors in a challenging business environment across Australia. With group assets exceeding $300 million and revenue totaling an estimated $280 million, Oaks Hotels & Resorts has also recorded a 10 per cent increase in year-on-year room revenue, with average occupancy sitting at 74 per cent for the year to date, and average daily rates ahead of budget expectations, indicating even stronger results are still to come for the company. 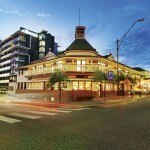 Oaks Hotels & Resorts’ regional properties, in particular, have recorded the strongest gains over their competitors, including Townsville, Gladstone, the Hunter Valley, and Broome, which could be attributed to the rise of the popular ‘holidaying at home’ trend that many Australians have adopted, choosing to travel domestically by taking advantage of the soft Australian dollar. Mr Mike Anderson, Chief Operations Officer of Oaks Hotels & Resorts, is pleased with the hotelier’s performance results across its Australian property portfolio – which includes 45 properties in 19 regions across Queensland, New South Wales, Victoria, South Australia and Western Australia – while also remaining firmly focused on the future and optimising further growth. “We have entered a significant development phase in the evolution of Oaks Hotels & Resorts. Our plans, underpinned by the support of our Thai-based parent company Minor Hotel Group, are concentrated on cementing Oaks Hotels & Resorts as one of Australia’s largest accommodation providers as part of MHG’s global portfolio,” he said. With over 80 per cent of Oaks Hotels & Resorts’ market currently domestically derived, there is extensive room for growth in a largely untapped international market for the Australian-born brand. A focus on attracting inbound travellers will merge with plans to extend Oaks Hotels & Resorts’ property portfolio internationally. Currently the group has six properties outside of Australia, including three in New Zealand, two in the United Arab Emirates and one in Thailand’s capital of Bangkok. “We are looking at multiple acquisitions both here in Australia and abroad, with an emphasis on growing our holdings throughout the Australasia region as part of our five year plan,” said Mr Anderson. Further substantiating MHG’s commitment to expanding its Australian presence, the Thai-based company has recently announced plans to open two new properties in Perth under a new entry brand for Australia, AVANI Hotel and AVANI Residences.